Gluten free plum crumble cake. A gorgeously gluten free treat with this yummy recipe for plum crumble cake, a deliciously sweet bake with a tasty layer of plums, topped off with a delightfully tasty crumble topping. 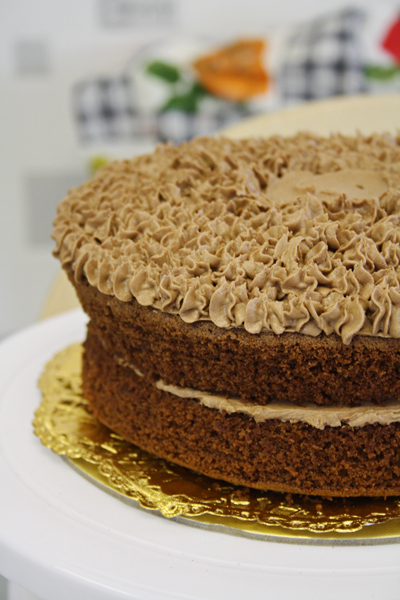 It's the perfect afternoon tea treat, making for an incredibly more-ish cake. It's one of those bakes that's perfect for any fruit really, but plums really do add a deliciously sweet taste to this cake. It should be just as scrumptious baked with a generous handful of damsons in the autumn! 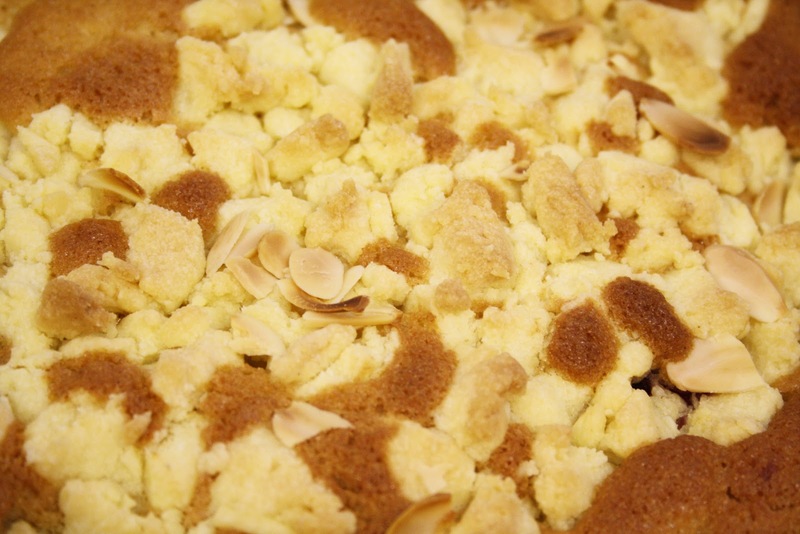 The crumble topping adds a lovely bit of texture to the bake, finished off with a sprinkling of flaked almonds for a bake that's certainly a tasty free from treat. To start grease and line a round 20cm cake tin ready for your bake and set aside. Pre heat your oven to 180c/170c fan/gas mark 4. You'll want to make the lovely crumble topping first – this can be rather messy so you'll want to get it all mixed up first ready to sprinkle on top of the bake later. Place the gluten free plain flour, dairy free margarine and sugar into a bowl and start to rub it together to form the crumble. At this stage it'll be somewhat messy – it may be a bit of a clumpy, messy mixture, but persist, as it'll start to form together nicely! 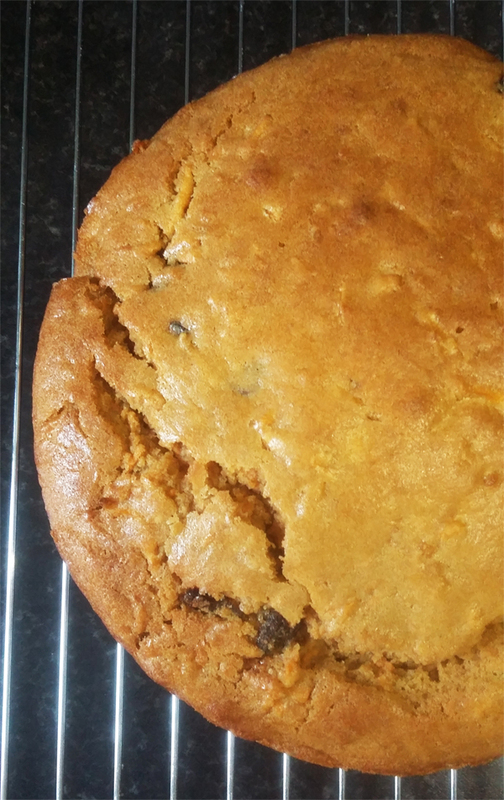 If it's a little too sticky, wash the mixture off your hands and sprinkle a little more of the gluten free plain flour over the mixture and rub together again. It may not resemble your usual traditional crumble, it should form into small mounds of mixture, which should break away easily to sprinkle on top later. Set aside. Now you'll start working on that tasty cake mixture! In a separate bowl, cream together the dairy free margarine with the caster sugar, then add in the eggs one at a time and mix. Stir in the vanilla essence. 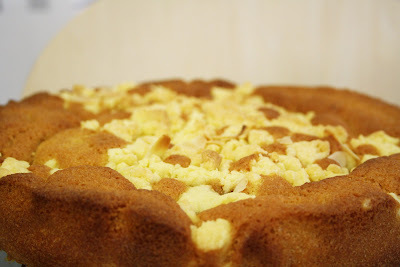 Sift in the gluten free self raising flour and cinnamon, this will add a little bit of a lift to the taste of the cake! Fold into combine the mixture. Spoon your tasty cake mix into the tin, then you'll be topping it with your plum segments. Place each quarter on top of the cake in a round till finished. Now you'll be finishing the cake mix off with the crumble mixture that you made earlier, sprinkle this on top of the cake, fully covering it, but don't worry if there's any gaps. Then sprinkle a handful of flaked almonds on top of this to finish. Bake for 45-50 minutes, or till risen and golden. In my fan oven this took a little quicker, baking in just 40 minutes. Remove the tin from the oven, then leave your cake to cool in the tin for a couple of hours. 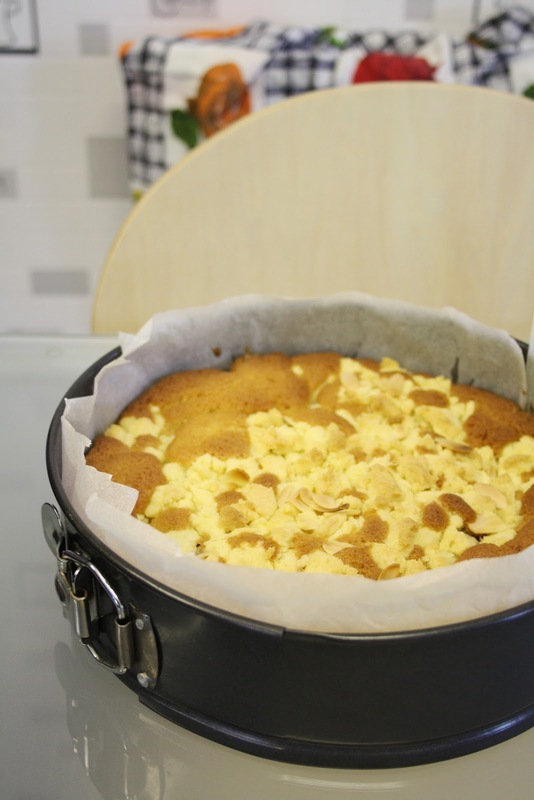 Once cooled a little, remove the cake from the tin and place on a wire rack to cool down. Cut into tasty slices to serve, it's lovely just as is, or serve it with some soya cream for a yummy tea time treat! Being diagnosed for coeliac disease : Finally getting there! After what feels like an awfully long wait, a letter finally arrived to start my coeliac disease diagnosis. It's been a long nine months whilst I've waited to book in my initial appointment with the consultant, but it's finally, nearly here, just another month to wait out and I can finally overwhelm the consultant with a torrent of questions regarding my issues with gluten (and lactose to boot..). I know I'm not alone, others online appear to have been juggling constant gp appointments with a tiresome, long wait to even be taken seriously regarding their issues. I just wasn't expecting it to take quite so long to fit in a quick 10 minute appointment with the consultant. Since that fateful letter dropped through the letterbox nine months ago I've already undergone a long grueling wait, choosing to take gluten out of my diet when it began to look as if no appointment was in sight at all. Could you blame me? After hearing that it could be at least 40 weeks back in early October to even hear back from the hospital to book my appointment I began to loose hope. For me, it's not just been these past nine months though, it's been years of countless health problems that seemed to be never-ending, accumulating in my horrendous bout of sickness just over two years ago - who knows if that was the trigger or not for my schrodingers coeliac disease. Whilst it left me with a newfound lactose intolerance, it also brought several other problems along with it, including severe weight loss. Dropping down to barely above 7st, coupled in with my digestive problems it just became an utter annoyance, especially when my weight refused to go back up at all. This barely rang alarm bells with my gp, they expressed a little concern about my weight, but seemed to suggest that it was normal after two weeks of 'ahem' exorcism style vomiting.. although when a year had passed and I still noticed no improvements, something eventually had to give. That's what initially led me to visit my gp and ask about coeliac disease, although admittedly if I hadn't stressed that family members had been diagnosed as coeliac it would have just been dismissed as ibs once again.. a general all purpose diagnosis that I've had for years.. It's a familiar story with many that have struggled to be diagnosed for coeliac disease, reading up on others problems with chronic ibs, anemia, weight loss and other issues, has been somewhat of a relief whilst I started my long wait. That alongside the general shrugged advice from my gp to remove gluten from my diet if it's making me ill, led to me trying an elimination diet late last year, and sure enough as my already rambled posts on my diagnosis journey have shown, it revealed that gluten, alongside lactose were certainly the cause of my digestive issues at least. That, alongside a major improvement to my skin problems, I no longer look like I'm horrendously tired, or about to start munching on friends brains.. I've even started to get some patchy hair regrowth back (hurrah!). Although there has admittedly been a day or two where I've been accidentally glutened - living with wheat eaters can be perilous at times. But in spite of the odd day where I feel like I'm about to give birth to a chest burster, I've certainly noticed an improvement in my health overall since sticking to a strict gluten free diet. As such, I can't tell you how relieved I am to finally be near the start of my actual medical diagnosis, but I'm dreading those 6-8 weeks of reintroducing gluten to my diet before the biopsy just as much though, especially fasting for 24 hours beforehand, that's going to be a barrel full of fun..
For now, I'm taking it one step at a time, from the appointment with the consultant and beyond. Although I must admit as relieved as I am to finally be near to seeing them so I can ask about my many digestive issues over the years and the associated problems to boot, I'm also not looking forward to them giving me a right telling off for cutting gluten out whilst I waited to see them.. But who can blame me with such a long wait for my appointment! August can't roll round soon enough, I may be clearing out my calendar for a good two months afterwards before my biopsy, but it's good to know that I should hopefully have an official diagnosis before the end of the year – fingers crossed! 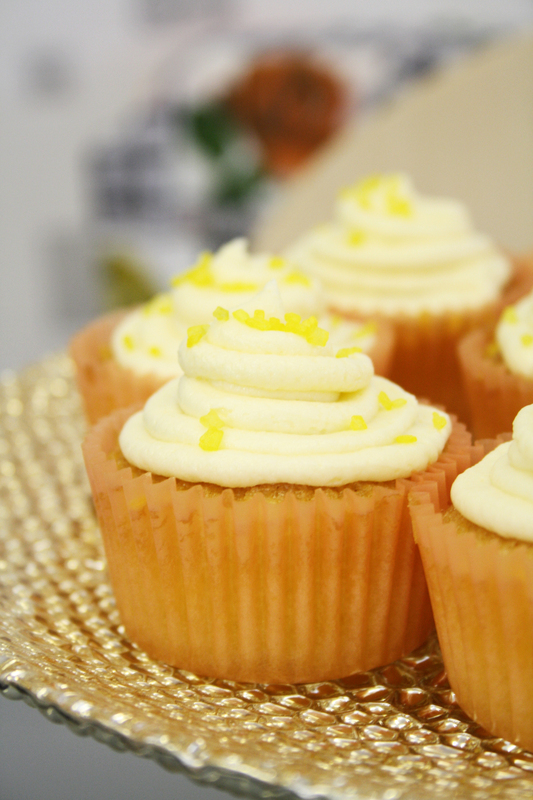 Gluten free lemon curd cupcakes. Oh my! These do make for a rather scrumptious treat! 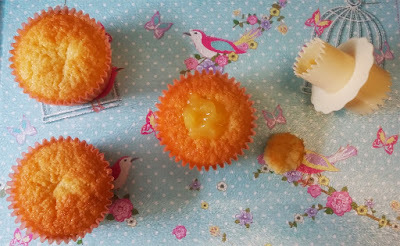 A deliciously gluten (and dairy) free batch of yummy cupcakes with a tasty surprise inside, thanks to some lovely lemon curd. Much easier to make than you'd think and perfect for a yummy summer treat! After tirelessly searching for a dairy free lemon curd (you wouldn't think there would be so much butter in lemon curd!) 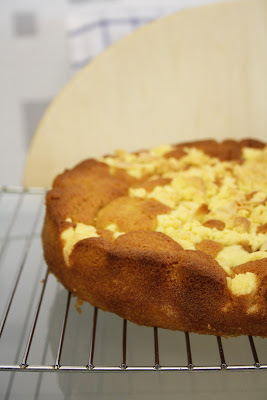 being able to find a yummy jar of the lemon-y goodness meant that I just had to try it with a bake. 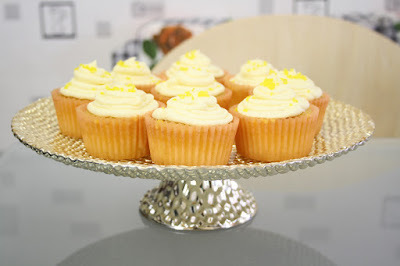 The end result was these scrumptious lemon curd cupcakes, a simple batch of vanilla cupcakes with a hidden lemon filling, topped off with a lovely lemon buttercream to finish – yum! Pre heat your oven to 180/160c fan/gas mark 4 and line a cupcake tray with cases. Cream together the stork with the caster sugar till pale and fluffy – if you'd prefer to use dairy free margarine this will work perfectly. Add in the eggs one at a time and mix. Add the vanilla extract and mix well to blend. 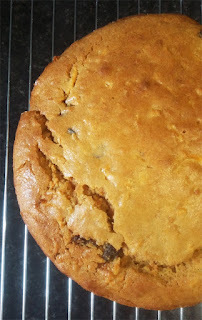 Then sift in the gluten free self raising flour, adding it a little bit at a time, and stir till fully incorporated – for these I used M & S's gluten free self raising flour, it's one of the best free from blends I've used so far! Finish off by adding the soya milk to loosen the mixture a little, stir to combine - you can use any dairy free milk that you like for this. Spoon your cupcake mix into the cases, filling each around 2/3 full. Then bake for 15 minutes till risen and golden. Place the cupcakes onto a wire rack and set aside to cool down for a couple of hours. Once your cupcakes have cooled it's time to start constructing your tasty bakes! 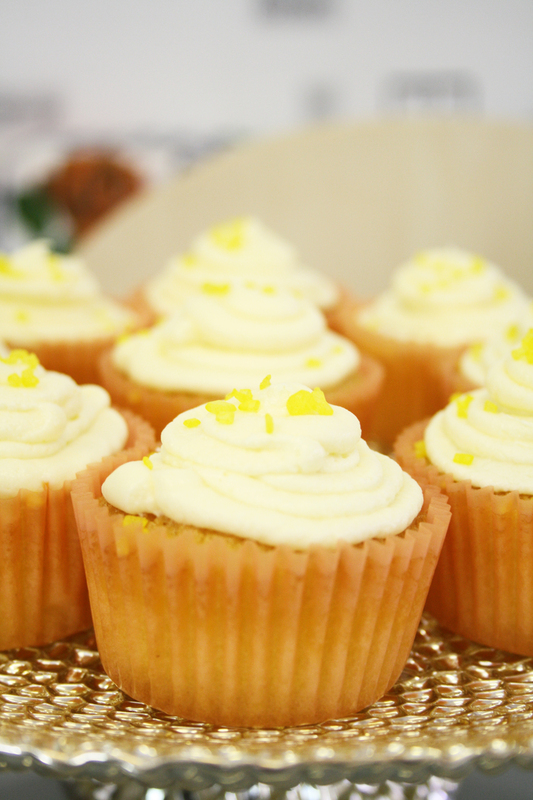 You'll be coring out the centre of each cupcake to fill it with the tasty lemon curd – for this it's best to use a cupcake corer. These can be snapped up at Dunelm mill fairly cheaply, alongside the likes of Lakeland for a more technical cupcake corer. If you'd prefer to go without, you can use a knife to carefully cut out the centre of the cupcake. Much like you would with a fairy cake, carefully cut out the centre of the cupcake – you'll want to go a little deeper than you would for a fairy/butterfly cake, but cutting a smaller section out – i.e not as wide as the effect you'd usually create for a fairy cake - (see my photo using a cupcake corer above as an example). Set it aside – then follow the instructions below*. If your using a cupcake corer, simply place the corer into the middle of the cupcake and gently push down, about mid-way through the cupcake. Gently twist and remove the cupcake centre, then set aside. *You'll be filling the cored centre of the cupcake with the yummy lemon curd. Using a teaspoon place a small amount of lemon curd inside the cored centre, adding extra if needed till it's filled – For these I used Sainsbury's value lemon curd, it's a dairy free recipe so it's perfect for this bake, and the value tag doesn't mean a lack of flavour either, it's a rather scrumptious tangy curd! Then take your cored cupcake centre and place it gently on top to cover. Repeat this action with each cupcake till your done. Set your filled cupcakes aside and start mixing your buttercream. The lemony flavour pairs perfectly with the lemon curd filling, making for one rather yummy bake! 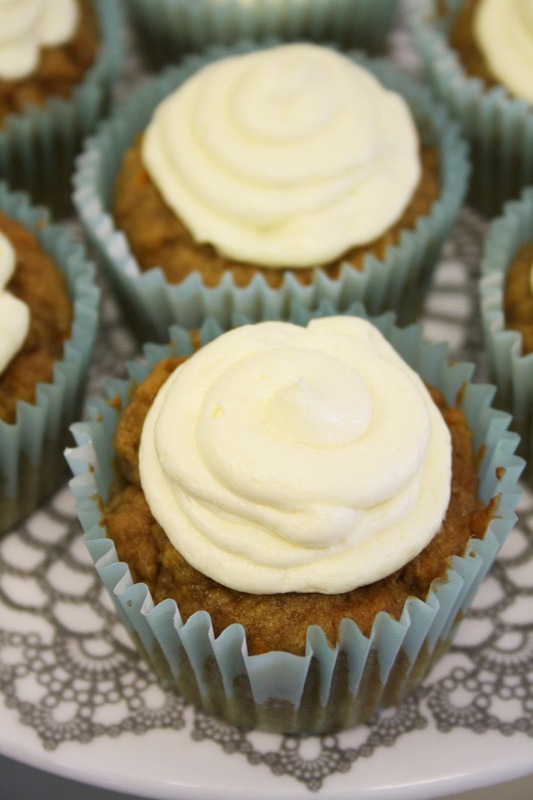 Whisk the stork with half of the icing sugar till fully combined – much like with the cupcakes, if you'd prefer to use dairy free margarine instead this will work perfectly. Then sift in the remaining icing sugar and whisk. Add the lemon juice to the buttercream mixture and whisk for 2-3 minutes to combine, this will also help to create a lovely light and creamy buttercream! Spoon the buttercream into a piping bag with a nozzle – I used a medium sized round nozzle to create the effect on my cupcakes. Pipe a swirl on top of each cupcake, covering the top in a circle of tasty buttercream. Then pipe a second smaller swirl in the centre to create the finished effect. You can choose to leave the cupcakes as is, or add some lovely sprinkles to finish – I used Dr Oetker's Neon sugar which you can find in most supermarkets, to add a pop of yellow to each cupcake. The end result is a rather scrumptious batch of tasty cupcakes, you wouldn't know that they were gluten and dairy free! These should last well when kept in an airtight container for a few days, but you may want to eat them all as soon as you've made them! Cupcake base recipe adapted from: Doves Farm.